TJ and Tiffany’s mission is to make sure their students understand that taking a class at KiCK isn’t just about learning Taekwondo. Learning Taekwondo is an important and direct correlation between learning about who you are, the mindset of serving other people, and following the character counts program. You may think it is crazy, but making sure our students follow our character counts program is more important to us than a child knowing how to kick or punch. When we talk about these words, we explain to our students how we use them at home with our siblings or parents, at school with our teachers or friends, and how we use them in public. We talk about why it can be hard to use those specific words, and how we can overcome those obstacles. When we’re finished talking about the specific character counts word, we have a beading ceremony. We ask the parents that are in class if they have any beads to hand out to their son/daughter. Parents then share examples of how their child specifically exuded the character counts word that week, and the child is recognized by their class and applauded. We include parents in this bead ceremony because they see the transformation in their kids each week and we want to honor their child for what they did well or how they created positive change around them. The bead ceremony was initially started in Haiti and brought over to KiCK Martial Arts because of its positive impact on the children there. To learn more about what we do in Haiti, visit our Haiti program page. 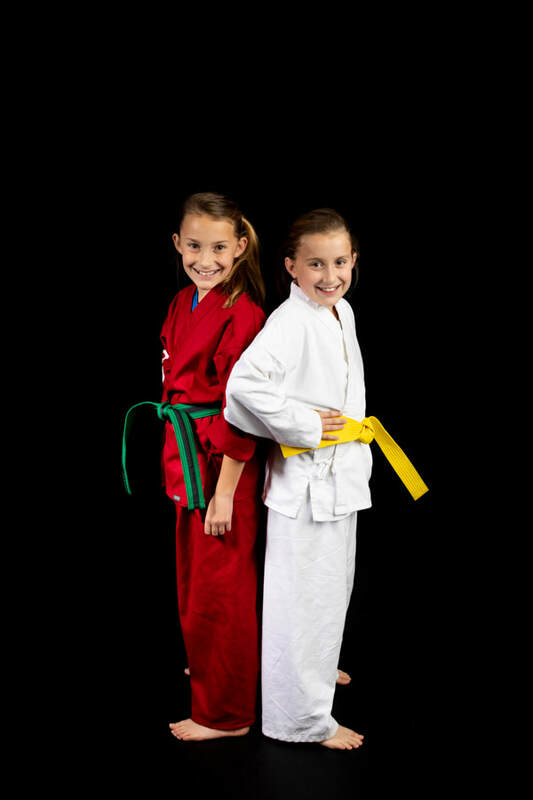 Martial arts classes for all ages! We will help each person move towards the unique Masterpiece that he/she is intended to be. At KiCK we have a heart for orphaned and abandoned children. That's why part of our profits go to our sister school, an orphanage in Leogane, Haiti. We believe that serving one another builds character. So, the first Saturday of each month is "Service Saturday". "We love KiCK Martial Arts! Love how kind and patient all of the teachers are in their interaction with students. And love the emphasis of character words during class." We love how KiCK teaches from the Christian perspective and incorporates character building into every class. Thank you for being a positive influence to our little ones, even when they don't even know it! Being new, we appreciate the 'themed week' helping the kids focus on one attribute for the week. Personally, I am amazed and grateful for your commitment and energy!! God has you in the most perfect place ~ and we are enjoying the fruits of your labor! Thank you!